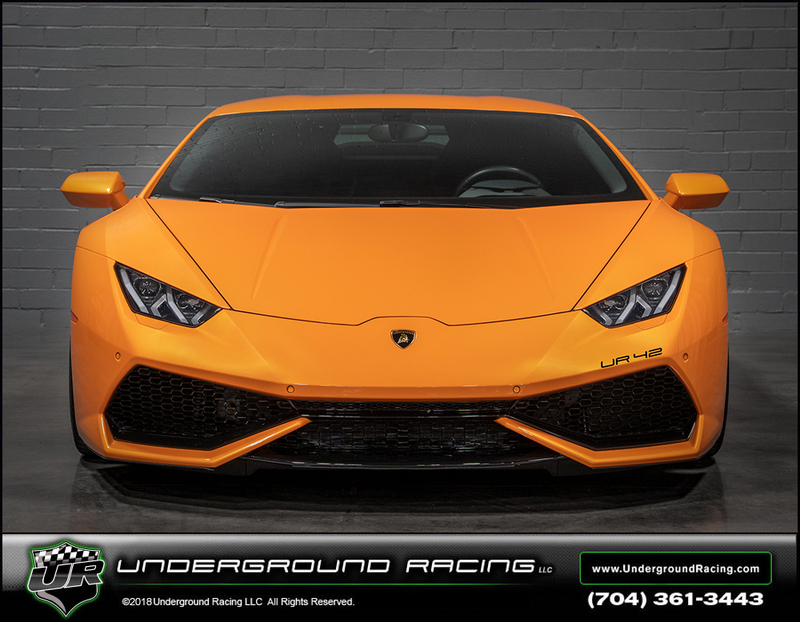 Thank you Justin for choosing Underground Racing to Twin Turbo this 2015 Lamborghini Huracan. 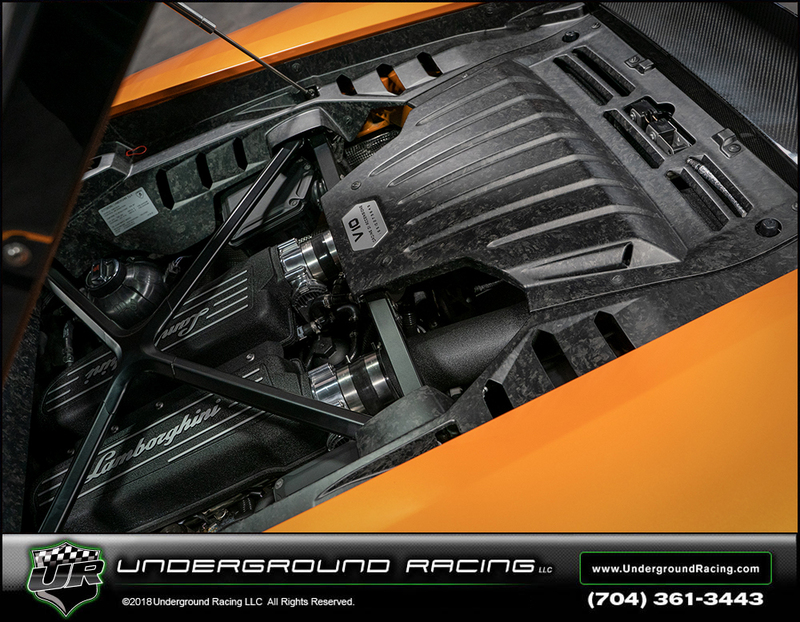 This Huracan has our Stage 3 build with race heads that makes 1,100+ whp on 93 octane pump gas and 1,250 whp on MS109 race gas. This build has a fully built engine with CNC race ported cylinder heads, billet connecting rods, pistons, our upgraded clutch, and billet clutch cages. As always, the build includes the JRR MoTeC M1 ECU with boost by gear. The stage 3 build also comes with a 2 year/24,000 mile warranty. This build only takes 6-8 weeks by appointment. If anyone is interested in a system similar to this for your Lamborghini, or needs help locating a car for a build, please don't hesitate to contact us. - 8 time KING OF THE STREETS champ!